Today is the groundbreaking ceremony! 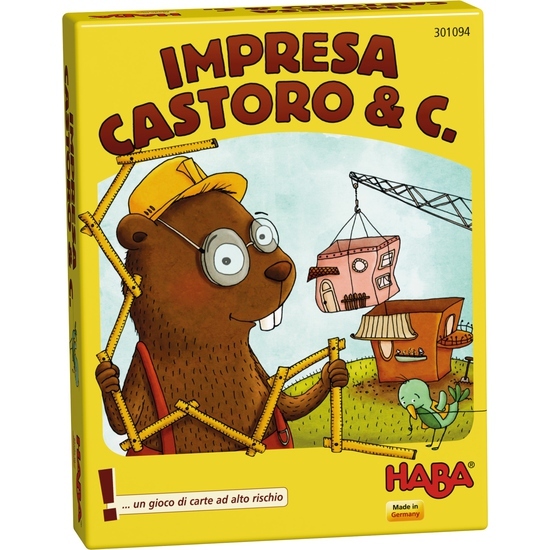 Full of beans the frog, rabbit, beaver and hamster want to build houses of different heights. It doesn´t matter if the buildings end up a little unsteady as long as no two floors are identical. Who decides to stop drawing cards at the right moment will be the happy winner in the end! Contents: 4 hamsters, 50 floor cards (10 cards of 5 floors each), 12 mission cards (4 decks in 4 colors).